Complete Kit to mount other manufacturers seat cushion: secured by height and angle adjustable steel mounting hardware (standard duty 4ea. L-Brackets w/4 holes, 4ea. J-Hooks w/1 countersunk hole & 4ea. horseshoe clamps for 1" tubing ), and any necessary interface plate. 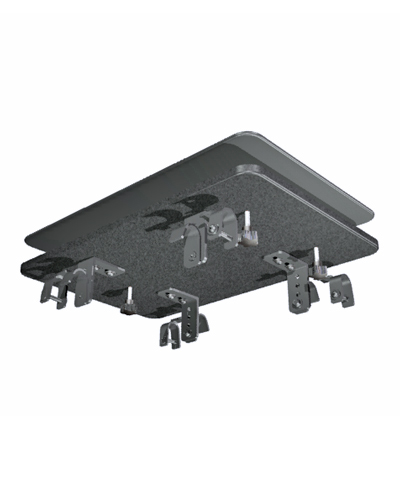 If mounting hardware other than the above is desired, select a modification from section A 4.1.